In addition to existing Facebook learning resources (such as the Facebook Help Center and Facebook for Business), available and open to anyone who would like to learn or improve Facebook advertising skills, the New eLearning Center for marketers was introduced. The Blueprint educational program was officially announced on March 24, 2015 on the Facebook for Business page. Social Media Bloggers and Marketing Professionals rushed to review and test Blueprint and write their own reviews: Adweek, The Next Web, Marketing Land, CMO Innovation republished the announcement, reviewing features of this learning tool, with some of them admitting that “Marketers will love Blueprint”. Indeed, we agree. 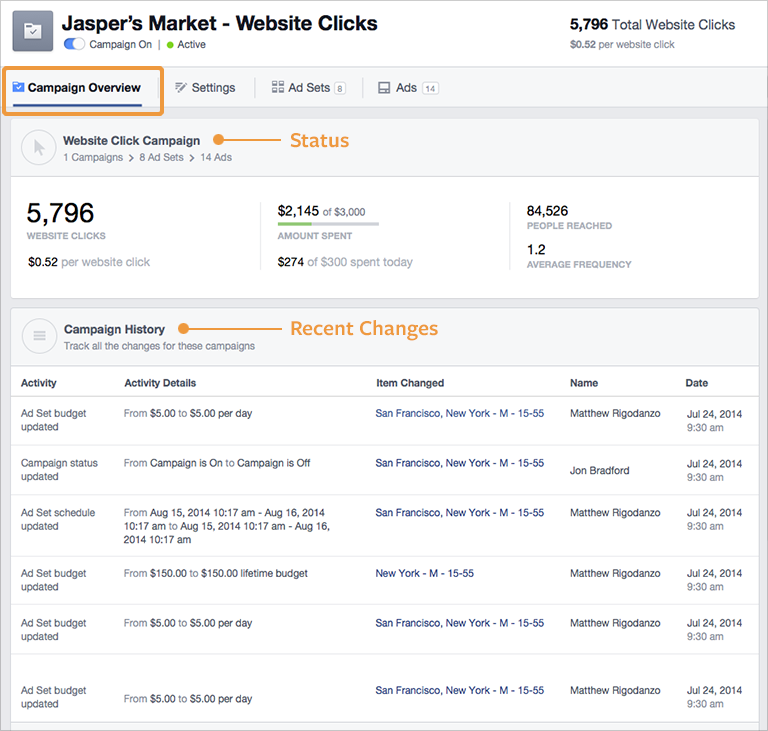 As we have taken “deep dive” into this new tool to test-drive it, we can say that this is an essence of all the Facebook marketing strategy, where Facebook both promotes itself as a powerful advertising platform and teaches businesses to promote themselves the right way. 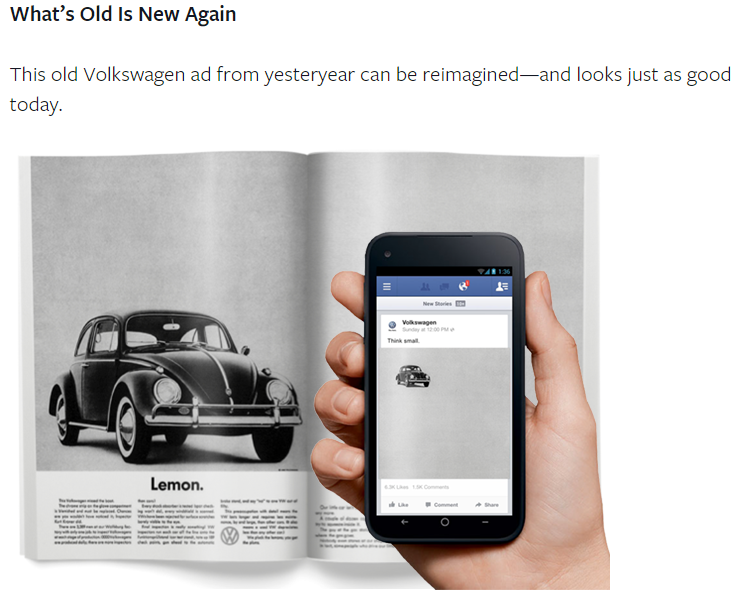 Worth saying that this innovation puts Facebook almost on the same level with such a giant as Google, resembling its Google Analytics Academy and Google AdWords Guide. In the Course catalogue you can find 35 online learning courses, divided into 10 categories, starting with the basic course “Introduction to Facebook”, where you can learn “the language of Facebook”, that is Facebook terminology and key pillars of Facebook positioning. 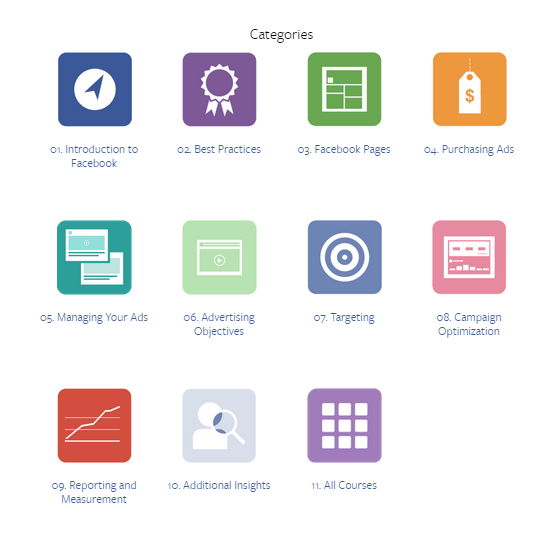 More than five categories are dedicated to the Facebook ads options: you can learn from scratch how to create, manage and target your ad on Facebook successfully. 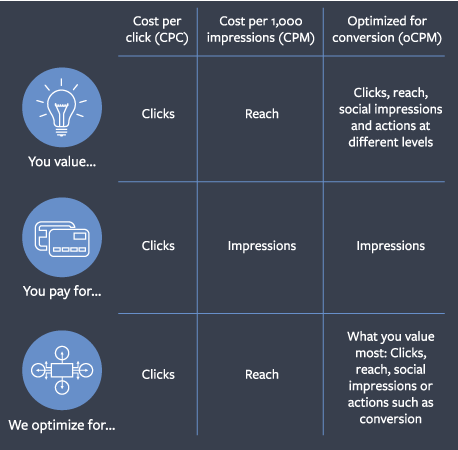 As anyone, who has a Facebook account can pass the chosen course and get certification on completion, beginners can start with the “Ads create tool” to learn how to create an ad and which type of ad works better for their objectives. 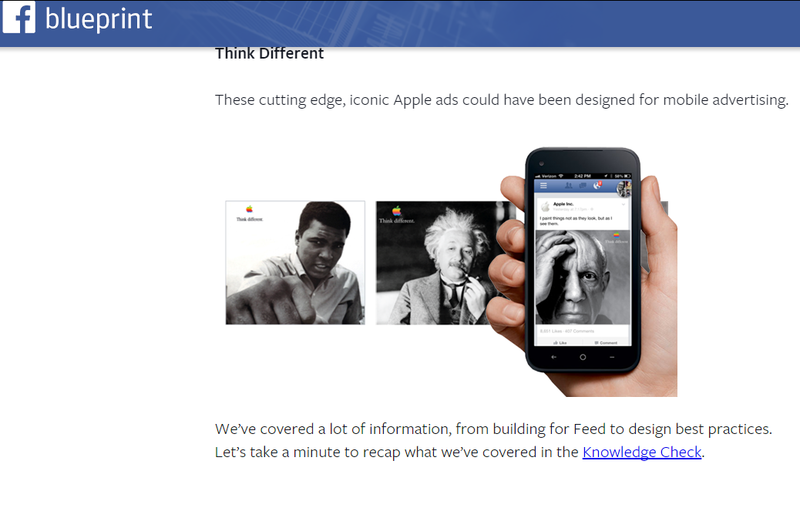 Advanced advertisers can have a look at the course describing “Power editor”, the more sophisticated Facebook ad tool. “Sight, Sound and Motion” could be the new slogan for Blueprint: several courses are dedicated to the successful use of content on Facebook and content is brilliantly used within Blueprint itself: Cheat sheets, Videos, Screen shots with indications, Images, Infografics and interactive knowledge tests keep you involved and entertained. We learned which types of videos and images the users are attracted to, which work best, and how to create the ones for your brand from the Success Stories section. Moreover, the interface is very intuitive: you can choose your learning path and suggested courses depending on your role and function: Digital Buyer, Branding, Direct Response, Data Driven Marketing, Media Planner etc. We have calculated that every course lasts for about 15 minutes, so to take all, you will need approximately 9 hours. Practically, it can be taken in one day or in two days in a relaxed mode. We recommend this course, first to social media specialists who finally can find answers to all questions in one place, no more searching for hours in Facebook help community. We recommend it to the SMBs who would like to understand how Facebook could be used for their product and brand promotion. We really hope that Facebook will add new courses soon; in the meanwhile, stay tuned subscribing to Facebook for business page or check our blog for updates on the latest news about Blueprint.